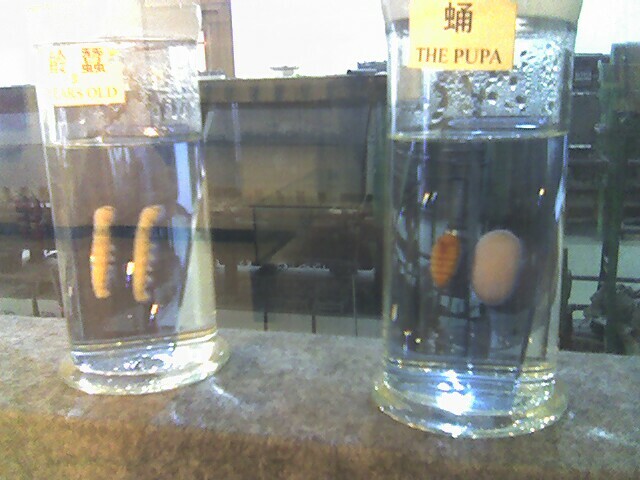 We dropped by a silk factory and learned that silk worms grow to full size in about 60 days: That's five silk worm years. Then they spin a cacoon of silk. Five percent of them pair together to make a cacoon of two threads that surrounds both of them. Each thread is about a mile long: Quite productive for such a small creature. Joyce recently learned that the average introverted person will influence 10,000 different people in his or her lifetime. Makes you want to consider what kind of an influence you're making.